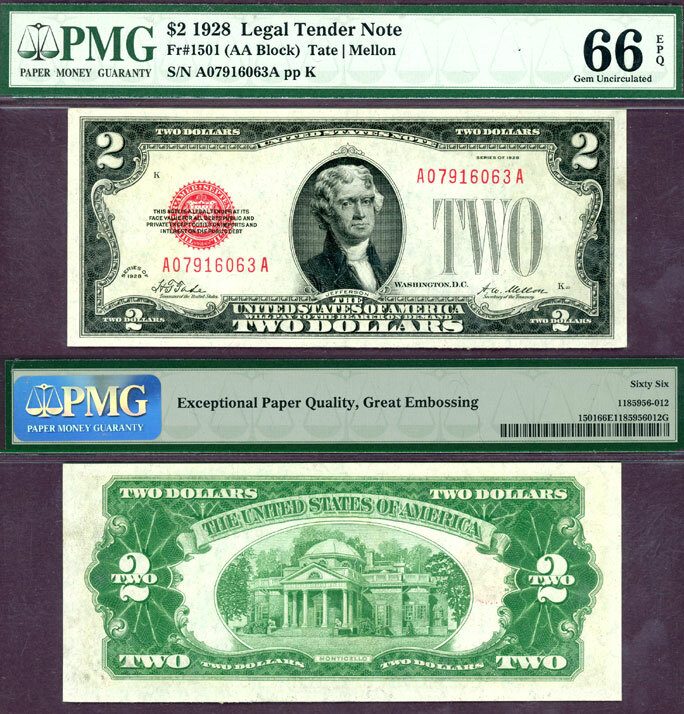 PMG Gem Uncirculated 66 EPQ - Tate/Mellon FR-1501 - Exceptional note that would make a excellent TYPE note. Crisp clean paper with great color and margins "GEM+". Exceptional Paper Quality and Great Embossing noted on PMG holder. PMG has only graded 26 better.